Crash Orange was born and promptly named Simon by Mame and August Orange approximately sixty years ago. The colorful nickname wasn't given him 'til many years after his birth. 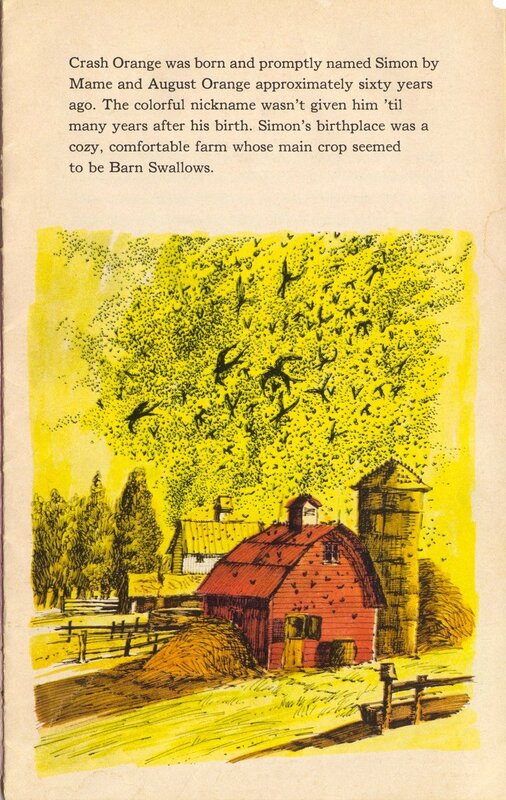 Simon's birthplace was a cozy, comfortable farm whose main crop seemed to be Barn Swallows.